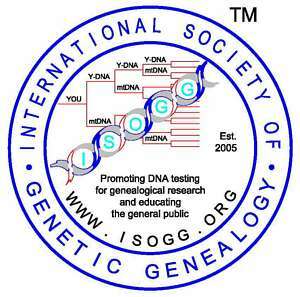 Link to Experimental Composite Y-DNA Haplogroup T Tree by Ray Banks. M320 is downstream of M70. It was reported in a single Druze sample in Shen et al (2004). Its placement relative to other SNPs under M70 is unknown. Listed 8 August 2012. P330 is downstream of L162. It was reported in a single Assyrian sample in Mendez et al (2011). Its placement relative to L905 is unknown. Listed 8 August 2012. P327 is downstream of P322. It was reported in four closely related Palestinian samples in Mendez et al (2011). Listed 8 August 2012. L1254 is downstream of L1255 and found in one branch of a Kuwaiti family. Listed 7 October 2012. L447 is downstream of L446 and found in a single Armenian sample. Listed 11 January 2013. Y-DNA haplogroup T is found at low frequencies throughout Europe and in parts of the Middle East, North Africa, and East Africa. A famous person in Haplogroup T was Thomas Jefferson (1743-1826), the third President of the United States from 1801 to 1809. Capredon et al, Tracing Arab-Islamic Inheritance in Madagascar: Study of the Y-chromosome and Mitochondrial DNA in the Antemoro. PLoS ONE 8(11): e80932. doi:10.1371/journal.pone.0080932, 2013. Mendez et al, Increased Resolution of Y Chromosome Haplogroup T Defines Relationships among Populations of the Near East, Europe, and Africa. Human Biology 83(1):39-53, 2011. The Y-DNA Haplogroup T (former K2) Project, Gareth Henson, Peter Hrechdakian.